Our specialization lies in designing Sandstone Block Steps. The Sandstone Block Steps, that we provide, are appreciated for their flawless finish and strength. 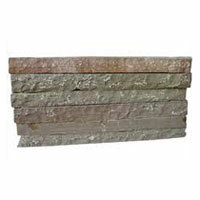 Available in varied finishes, our Sandstone Block Steps are quite multipurpose. 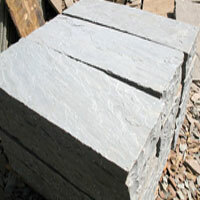 Sandstone Block Steps can be utilized in gardens, pavements, etc. 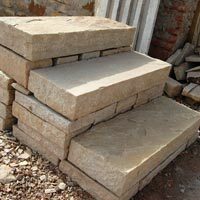 Our collection of Sandstone Block Steps includes Modak Sandstone Block Steps, Mint Sandstone Block Steps, Raj Green Sandstone Block Steps, Grey Sandstone Block Steps and Kandla Grey Sandstone Block Steps. 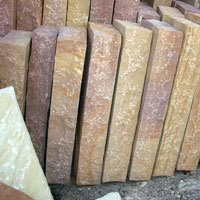 We are a prominent Sandstone Block Steps Manufacturer, Supplier and Exporter from india. 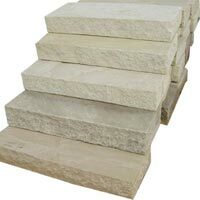 Why Our Sandstone Block Steps?